A s we age our hair can become weak and brittle, resulting in hair thinning, hair loss and even bald spots. This can be just a normal side effect of ageing, but in some cases it can be caused be a medical condition, an unhealthy lifestyle or the continued use of certain medications. If you are suffering from hair loss that is not age related, you may be concerned as to why this is happening. A trip to your doctors, dermatologist or trichologist (hair specialist) will help to ease your concerns, but as a rough guide, here are some of the most common conditions that can cause hair loss. Sometimes the way our body behaves is literally just a consequence of our genetic make up. Hereditary hair loss is medically known as androgenetic alopecia, or male pattern baldness, and is usually the most common cause of hair loss in men. The gene can be inherited from either side of your family, and you are more likely to suffer if both your parents exhibited symptoms. The condition can start in your 20’s and can spread across the entire scalp leading to large patches of baldness. The thyroid gland produces hormones that regulate the body’s metabolic rate, heart and digestive function, amongst other things. If your body does not produce enough of the hormone responsible for metabolism, you can develop hypothyroidism, which will start to effect the skin, hair and nails. The condition can cause dry and brittle hair, with obvious signs of thinning over time. These symptoms are particularly prevalent in women over 50 years of age. The goods news is that hair can grow back fully after receiving treatment for hyperthyroidism. Unusual, but not uncommon, this phenomenon is often reported after pregnancy, major surgery, dramatic weight loss or extreme stress. 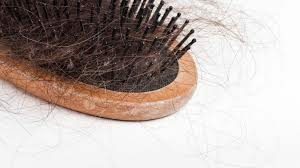 Large amounts of hair are shed on a daily basis and symptoms usually start to appear within 3 months of a stressful event. It can also be the side effect of some medications. In most cases the hair loss will start to slow and you can expect your hair to regain its former glory over time. If medication is the culprit, talk to your doctor about alternative solutions. Lupus is a chronic autoimmune disease in which the body’s own immune system attacks healthy tissues. If often attacks women during their childbearing years and symptoms include extreme fatigue, headaches, mouth ulcers, and painful, swollen joints and hair loss. You may find that you simply lose more hair when brushing, or your hair might begin to come out out in larger clumps. Loss of eyebrow, eyelash, beard and body hair also is possible. If your hair loss is accompanied by any of these symptoms, make an appointment to see your doctor to rule out Lupus. After treatment for the condition, hair loss should slow down and eventually stop completely. Iron deficiency anaemia is caused by low numbers of red blood cells and is usually caused by severe blood loss or a poor diet. If you are losing hair, or you have noticed that it is not growing at its normal rate, you may want to have your iron levels tested. Taking iron supplements and changing your diet to include more iron-rich foods, including red meats and green vegetables, can help to slow the hair loss caused by anaemia. Whatever the cause of your thinning hair, it can make you feel far less confident. 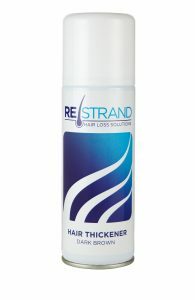 RESTRAND Instant Hair Thickening Spray can instantly transform the way you look and feel about your hair. Developed by experts to give the appearance of thicker, fuller hair, RESTRAND Instant Hair Thickening Spray is available in a variety of shades, and is applied in seconds, providing a completely undetectable solution to hair loss. Not all hair loss is irreversible. Sometimes, the foods we eat, the way we live and the amount of stress we deal with on a daily basis can effect the look and feel of our hair. While some conditions, including simply getting older, will mean that some hair loss is inevitable, keeping well and adding extra nutrients to our bodies can help to prevent or delay hair loss however old we are. If you are concerned about your hair thinning, excessive hair loss or bald spots you should visit your doctor or dermatologist to rule our any underlying causes or conditions. If however, you are just looking for natural ways to improve the look and condition of your hair, try these 7 natural ways to prevent hair loss today. We all know that enjoying a balanced diet can help prevent weight gain and certain medical conditions like high blood pressure or diabetes, but we often overlook the fact that they way we eat also effects our hair. Fresh fruit and vegetables, pulses and lean meats all include a variety of wonderfully beneficial, naturally occurring nutrients. These include Iron, B Vitamins, Copper, Zinc, Sulphur and Vitamin C, which are all essential for healthy looking hair. Leafy green vegetables, blackcurrants, blueberries, oranges, strawberries and sweet potatoes are all readily available and do wonders for you hair. So too does fish that is rich in Omega-3, like salmon and sardines. Whilst thats not always entirely possible, ensuring that you get enough rest and “down time” from the strains of day to day life can help to prevent the damaging effects of stress on our skin and hair. Stress promotes hair loss, and can lead to conditions like Telogen Effluvium, where the roots can be pushed prematurely into a resting state, causing hair loss and thinning. Usually seen in women after pregnancy, extreme weight loss or a “shock” to the system, the condition doesn’t last forever and the hair will eventually grow back and fill out in time. We spend much of our lives worrying about the way our hair looks, but then forget to consider the health of our scalps. A nourished scalp is a healthy base for hair follicles to grow and flourish. A scalp that is suffering from dandruff, infections or lesions, will cause hair to “die” early and fall out, leading to significant hair loss. Remember to treat your scalp well, and repair any damage using the appropriate medication. This is not always possible as some medications that can cause hair loss are actually vital for easing certain conditions and diseases. Some acne medications, antibiotics, anti-fungal creams, antidepressants, oral contraceptives, blood thinners and cholesterol-lowering medications however, can display hair loss as a side effect of continual use. If you need to take your medication then that is clearly a priority. But in some cases, natural alternatives can prove to be just as effective, without hair loss side effects as an additional concern. Years of constantly pulling and poking at our hair to achieve fabulous looking hairstyles will damage the hair over time. We know it is important to look and feel great, but too much over working of the hair can lead to excessive hair loss. Losing a few strands here and there is normal and part of the natural cycle of the follicles, but continual loss, or clumps after brushing could be caused by traction alopecia, a direct result of over-styling or over-brushing your hair. Try to keep you hair loosely tied back, or hanging free, and avoid tightly pulled ponytails or hairstyles secured with elastic hair bands. Hair straighteners, curling wands and other electrical styling aids all heat the hair to achieve their desired look. While occasional use will probably not make a big difference to your hair, daily or continual use will be detrimental to it. Heat causes hair to burn, snap and split and can lead to hair thinning or even hair loss over time. If thinning hair is causing you concern about the way you look, you can use a specially designed product to help boost its appearance, as and when you need to. An Instant Hair Loss Concealer for example, coats each strand to give the appearance of fuller and thicker hair, without weighing it down. This is a temporary measure that can be used as frequently as you need to. Easy to rinse out by simply using shampoo, products like RESTRAND Instant Hair Loss Concealer allow you to maintain a healthy regime for your hair, with the addition of instant volume and coverage, as and when you need it. Is Stress Causing Your Hair Loss? While genetic pattern balding may take the stage as the most common cause of hair loss, it is definitely not the only one. It is important to be aware of other potential causes of hair loss, especially if you are beginning to consider a treatment plan that can cost a lot of money, and take a considerable amount of time to show any positive results. Of all the possibilities other than pattern baldness, stress is one of the most common factors that can make one lose hair. This can be both good and bad news depending on how you look at it. Although identifying sources of stress and then figuring out how to eliminate it can potentially reduce the stress-related hair loss, and sometimes even reverse it, changing our lifestyles and outlook on life can be a little difficult sometimes. There are three types of stress-related hair loss and each is unique in its own way. Telogen effluvium is the most common stress-related condition causing hair loss. When a person suffers from a significantly stressful event, the body can send signals to the hair follicles which sets them into a resting phase. When this happens, the person is unaware that any damage has occurred, but after a few months they will experience a high degree of hair loss as the follicles ‘let go’ of the hair. While telogen effluvium is a passive bodily reaction to stress that often flies under the radar, there is another common cause of hair loss from stress called Trichotillomania. 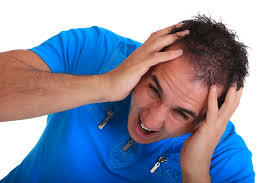 People who suffer from this type of stress-related hair loss actually pull their hair out when they are feeling stressed or depressed. While it may seem that this would be an easy condition to treat, people who suffer from this condition generally act on irresistible urges which are difficult to control. The third, and final, condition causing stress-related hair loss is called Alopecia areata. Alopecia areata is a far more serious condition which is triggered by intense stress. This condition causes the body’s immune system to attack the hair follicles making them fall out in large quantities in a short amount of time. The most difficult part about suffering from hair loss caused by stress may be the hair loss itself, but it is more likely that stress may be a more important thing to get a handle on. 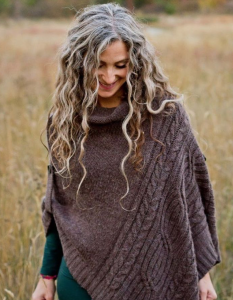 It is generally understood that stress is a major cause of many illnesses, and if a person is suffering from enough stress to make their hair fall out it is likely that they may be in line for other stress-related problems as well. To reduce stress, there are a few things that everyone can do. A combination of a good diet, plenty of sleep, exercise, and leisure activities is necessary for healthy living. If any of these are missing from a person’s life, there is a very good chance that they are experiencing stress at levels beyond what would normally be considered healthy. It is also a good idea to review any medications as many of them have serious side effects that can lead to both mental and physical stress. By managing stress, there are so many health benefits that come along with it, and maintaining healthy hair is one of the things that people can enjoy. If hair loss is causing you stress our hair loss concealer provides an instant solution.